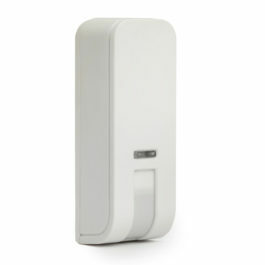 ProSYS™Plus is a powerful Grade 3 super hybrid security system designed for the commercial sector, supporting wired, wireless and RISCO Bus installations. The state-of-the-art solution offers a unique array of benefits, including a unique single hardware platform and flexible licensing mechanism with unlimited scalability up to 512 zones. The cost-effective “pay as you grow” solution eliminates the need to purchase additional panels to support expansion. ProSYS™ Plus includes the cloud-based iRISCO smartphone app to remotely monitor the system, integrated IP cameras for live HD video verification and “look in,” as well as a full range of professional commercial and industrial detectors. ProSYS™ Plus also enables the utilization of the latest communications technologies, including multi-socket IP, 3G. Modular and expandable according to customer’s growing needs. Includes option to install basic intruder system and add modules and functionality, such as dual-path IP and GSM/GPRS communication, access control, voice module or wireless. 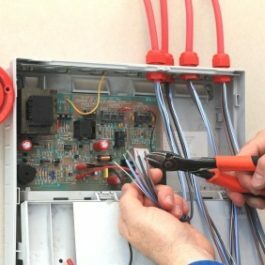 The RISCO Bus is a simplified Bus wiring architecture that uses a single 4-core alarm cable to wire an entire alarm system. The Bus solution which wires the detectors in a line rather than in a star pattern, is well suited to long corridors, and is therefore compatible with the commercial sector. RISCO Bus installations dramatically reduce total cable lengths, labor costs, physical zone expanders and on-site maintenance. The RISCO Bus technology also enables system testing and diagnostic capabilities both locally and remotely through your choice of GPRS, IP and PSTN communication. The RISCO Bus solution is compatible with the ProSYS™ and LightSYS™2 systems and a variety of RISCO Group’s detectors including WatchOUT™, iWISE™, BWare™, Seismic, Industrial Lunar and more. RISCO Group offers you a complete range of professional Grade 3 detectors. Designed specifically for commercial and industrial applications, our detectors utilize RISCO Group’s unique detection technologies which offer increased reliability and false alarm immunity in even the most challenging indoor and outdoor environments. 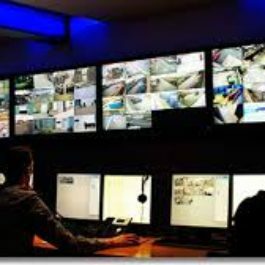 Having an alarm system is a must, however are you available to respond to your alarm system at all hours of the day and night? Let V.I.P 360 manage your alarm activation and alarm responses so you can sleep peacefully!